We’d love your help. 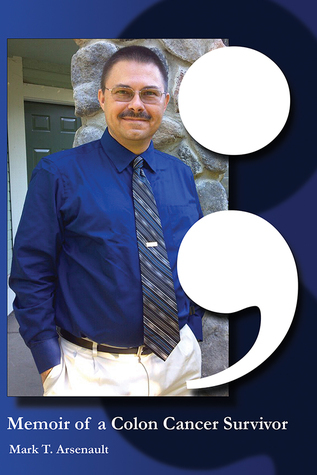 Let us know what’s wrong with this preview of Semicolon; Memoir of a Colon Cancer Survivor by Mark T. Arsenault. Semicolon takes a frank but humorous, and often witty, look at the procedures and events surrounding one man's journey through colorectal cancer. Mark takes on the serious, at times frightening, and potentially deadly issues. It will enlighten and entertain you at the same time. A portion of the proceeds from each book sale will be donated to the Colon Cancer Alliance. 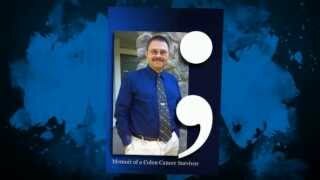 To ask other readers questions about Semicolon; Memoir of a Colon Cancer Survivor, please sign up. This is a non-fiction story; told in first person. And a very great tale at that . . .
What a gratifying story to have read! For once, I’ve finally gotten to hear first hand from a male’s perspective of what it’s like to walk alongside a diseased relationship. And just as one may have thought ‘tis not a pretty picture. As the story unfolds, this author pours it all out to its readers . . . from diagnosis to recovery. The story has plenty of insight about the scope of this deadly relationship; and This is a non-fiction story; told in first person. And a very great tale at that . . .
What a gratifying story to have read! For once, I’ve finally gotten to hear first hand from a male’s perspective of what it’s like to walk alongside a diseased relationship. And just as one may have thought ‘tis not a pretty picture. As the story unfolds, this author pours it all out to its readers . . . from diagnosis to recovery. The story has plenty of insight about the scope of this deadly relationship; and what is to be experienced and expected. And as we know, many have actually died from its claws. I am a colon cancer survivor and I enjoyed the book. I liked how he had a sense of humor in the book too. I am happy for him to have the cancer in the past and wish the author the best. Mark is a top selling and award-winning author of a number of books, including Beat the Curve with Brian Tracy and Semicolon; Memoir of a Colon Cancer Survivor. Mark has studied, researched, written and spoken for more than fifteen years in the fields of history, business, corrections and psychology. He’s been quoted in SUCCESS Magazine, USA Today, The Wall Street Journal, The Washington Post and Mark is a top selling and award-winning author of a number of books, including Beat the Curve with Brian Tracy and Semicolon; Memoir of a Colon Cancer Survivor. Mark has studied, researched, written and spoken for more than fifteen years in the fields of history, business, corrections and psychology. He’s been quoted in SUCCESS Magazine, USA Today, The Wall Street Journal, The Washington Post and The New York Times.